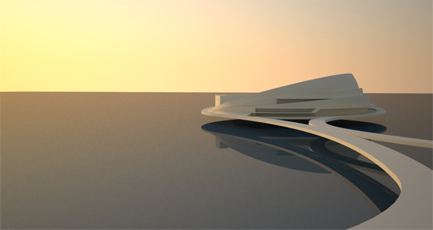 Atomik Architecture’s winning design for the British Urban Regeneration Association’s 21st Century Pier Design Competition. I chaired a feisty but ultimately productive public meeting about the Pier regeneration on Sunday evening. Thanks to those who came along and contributed. For those who don’t know, a split over how to rebuild the pier has caused a lot of acrimony in the past. The meeting resulted in one important outcome. The project which I support, a £70 million pier marina plan, will not be vying to base it from the existing pier platform area in Herne Bay. The Pier Trust, which has worked very hard indeed to secure the lease, is not interested in it from that site and it’s time to accept that. Those interested in pursuing it will be looking at other locations nearby on the town’s seafront (a town of two piers?). I think it’s a brilliant plan in need of some fine tuning (and significant seed funding) that could prove a real draw, contribute major investment into Herne Bay through increased footfall, visitors and the building period and put the town on the map. I’m really keen to support it and will be helping try to plan a way forwards, which will be deeply challenging but I don’t see as impossible. Watch this space for progress reports! Congratulations meanwhile to the Pier Trust for winning £50,000 in hard-won funding from the People’s Millions today for a canopy to keep people dry during the many great events they will be hosting on the Pier platform for which they worked so hard to get the lease from the council. Well done!